The Andrew Price Academy Team is dedicated to delivering the very best in hairdressing training. More than just trainers, each member of the Andrew Price team are highly experienced hairdresser in their own right. Founder of the Andrew Price Group of Salons and Academy. Since the launch of the first salon Andrew set up his Academy to ensure the highest standards of hairdressing, service and salon etiquette. Although Andrew now oversees nine salons he is still actively involved in training students and regularly spends a day with each student working on the shop floor. Sonia has been the manager of the Andrew Price Academy since 1999 and has been our Head of Education ever since. Before joining the company Sonia worked in further education colleges for twelve years. During this period she undertook management roles and was involved in various developement projects for both colleges and in the private sector. Sonia brings a wealth of experience, not just in teaching hairdressing but also to the curriculum developement, ensuring the Andrew Price Academy students receive the highest possible learning experience. 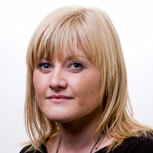 Emma joined the team at Andrew Price in 1998 as a designer in the Bridge Street Salon, Carmarthen. She progressed to Master Designer within four years. Emma achieved her NVQ Level 3 in Hairdressing with The Andrew Price Academy whilst it was situated within the Swansea Salon. Emma relocated to the new Carmarthen Salon on it's opening in 2005 and undertook her A1 Assessor's Award in the new Andrew Price Academy housed above: she completed the course in just 8 weeks. Emma qualified as an Internal Verifier in 0ctober 2008. She has also achieved a Master Colour Specialist Certificate and Master Colour Expert Certificate. 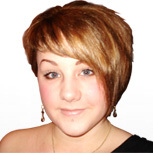 In 2009 Emma became the franchisee for the Llanelli salon. George is one of the company's most long standing members. 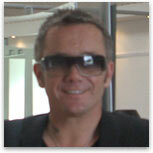 He joined the company in October 1993 as a designer in the Haverfordwest Salon. George quickly progressed to become manager in 1995. When Andrew decided to franchise the group in 1999, George was only too pleased to be offered the franchise in Haverfordwest, which he successfully runs to this day. George completed his Assessor's Award in November 1998, and now not only assesses wthin the salon, but also in The Academy. 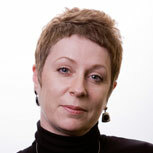 Yvette joined the company in 1992 as a technician in the Tenby salon after relocating to the area from the Midlands where she began her apprenticeship. 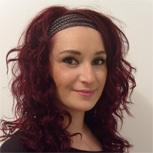 Yvette moved to the Haverfordwest salon, not long after her arrival where she progressed to the role of Master Designer. Yvette, like George and Robert, achieved her Assessor's Award in November 1998 and continues to assess students in their work environment on the salon floor. 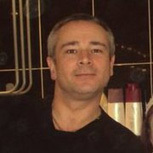 Mark started work in the Haverfordwest Salon in 1997 after spending numerous years lecturing in further education colleges, as well as owning his own salon for a time. 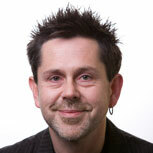 Mark joined as a Senior Designer and is now a Master Designer and Assessor achieving his award in 2000. Rowena joined the team at Andrew Price in 2000 as a Saturday girl in the bridge street salon Carmarthen whilst still in school. She then started her full time apprenticeship in 2001 achieving NVQ Level 2 in hairdressing with the Andrew Price Academy whilst it was situated within the Swansea Salon. Rowena then achieved her NVQ Level 3 and Diploma in Hairdressing with the Andrew Price Academy when it moved location to the Carmarthen salon. She relocated to the new Carmarthen Salon on its opening in 2005 and progressed to become a Master Designer, and has now started her A1 Assessors Award in the Academy. 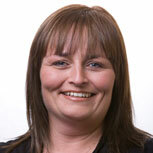 Beverley originally joined the Andrew Price team in Carmarthen Bridge Street as Saturday staff whilst in school. Starting her full time apprentiship in the summer of 2004 she gained her NVQ Level 2, level 3 and hairdressing diploma. As a Senior Designer she gained her Wella Master Colour Award, Master Colour Specialist, Master Colour Expert Certificates and regularly attends the Wella Master Colour Congress in London, knowledge that she brings back to the Andrew Price group. Beverley is currently working as a Master Designer and Master Colour Expert. She is an NVQ assessor and teaches colour courses at the Academy. Christine started in the company's Haverfordwest salon in 2005. Starting as an apprentice she later qualified as a colour technician and is now a senior stylist. Christine has achieved both NVQ 2 and 3 in 2008 and is currently undertaking the A1 assessors award. 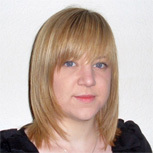 Charlotte joined the company in 2004 when she began her apprenticeship. She worked in the Carmarthen Bridge Street Salon for 6 years, during which time she completed her NVQ Level 2 & 3, and her A1 Assessors Award. 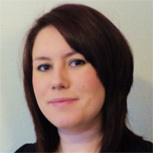 Charlotte currently works in the Academy; where she assesses and teaches the students. She also works in the Llanelli Salon as a master designer."